Suction Cup Reacher from HealthyKin.com is ideal for people with limited range of motion or difficulty bending. Sturdy! 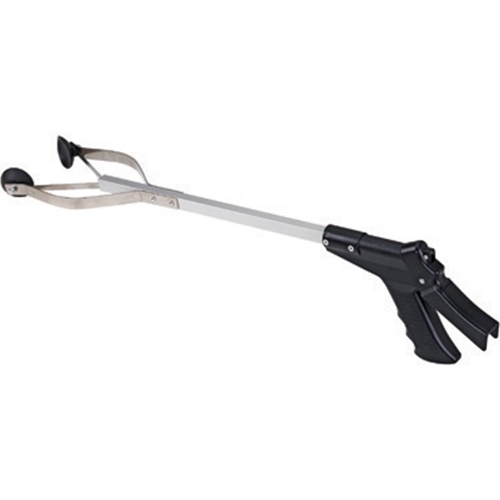 I use this reacher bedside to lift and situate blankets, pillows, books, etc. It's strong and well-made. Glad I selected it. Perfect size for reaching items on the floor. Much more sturdy than ones that fold in the middle. Love the length of the reacher. Had a little trouble getting use to using the suction cups but getting better.